Help make bicycling a safer and more enjoyable for yourself and others. Visit the New Jersey Department of Transportation to learn about law regarding recreational and commuting bicycling. 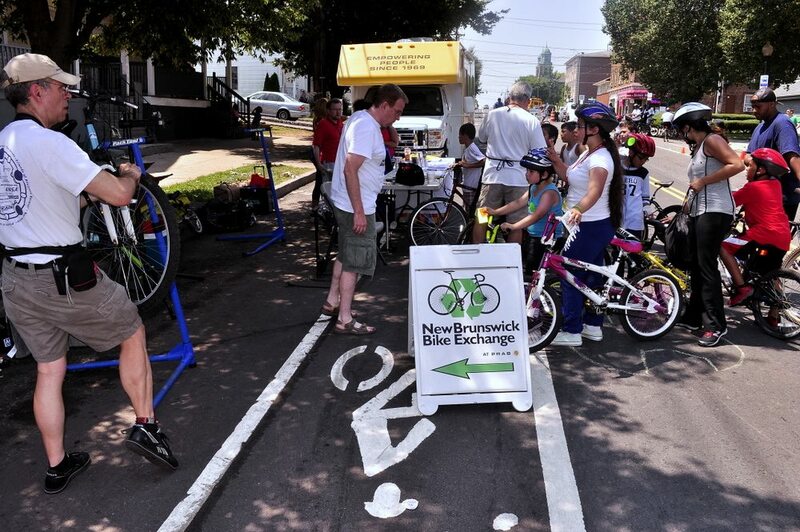 Trenton, Newark and Plainfield are home to other Bike Exchange’s similar to ours. Check out New Jersey Bike Exchanges directory for directions and descriptions of these other great shops. Kim’s Bike Shop in New Brunswick. Bike & Gear in Somerset. We recommend all cyclists register their bikes. The Bike Exchange does not have any relationship with, nor receive any sponsorship from any of the organizations listed below. We provide them here as a reference. Project 529 Garage, a free bicycle registration, reporting and recovery service that allows cyclists to capture detailed information about their bicycles quickly and secure the information in the cloud. If an owner’s bike goes missing, a few taps on any mobile device allows the victim to alert the local cycling community, their social networks and law enforcement agencies with real-time notifications and receive tips from the community. **Update: It acquired and integrated the National Bike Registry with its cloud-based 529 Garage™ anti-theft bicycle service on 1/31/2017. The merger created the largest and most advanced online bike registry in North America and provides law enforcement, universities, cyclists and independent bicycle dealers with the tools to successfully recover and return stolen bikes by consolidating access to nearly 400,000 bicycle records to help combat bike theft. BikeRegistry, an international registry based upon a robust peer based architecture, can work in parallel with your city’s or university’s bike registration program. Bike Index, ensures that law enforcement, bike shops, individuals, and everyone in between has the information they need to help reunite you with your bike. Bike Shepherd, a global anti-theft bicycle service that uses mobile phones, scannable QR code tags and social media to fight bike theft.